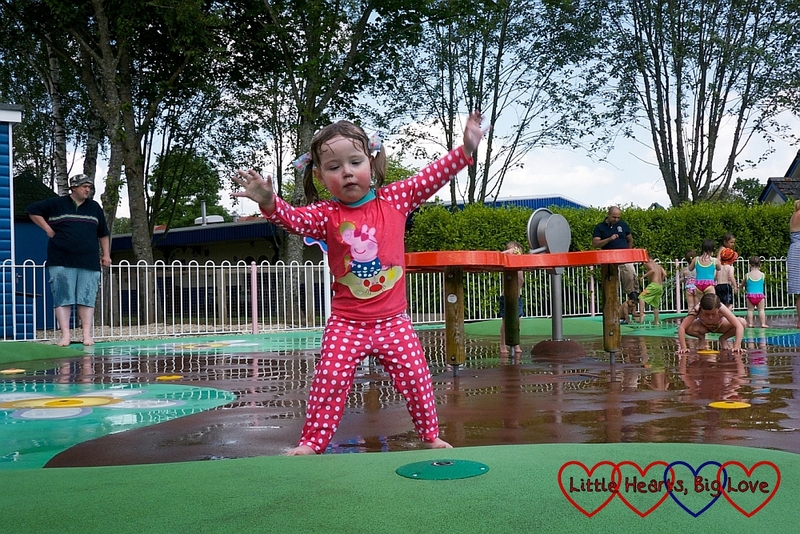 We’ve been having a lovely day out at Peppa Pig World in Paulton’s Park with some other heart families from the hospital where Jessica had her surgery. This is the second year we’ve been on the family day out. 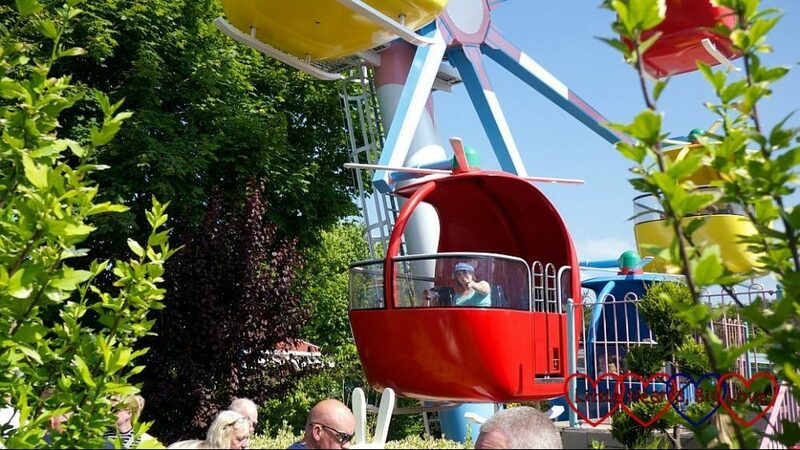 It has been interesting to see the difference with how Jessica reacts to the rides and the water area. 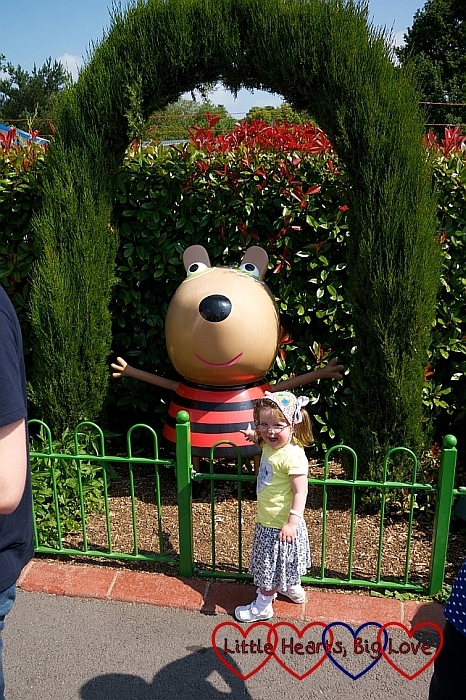 She was much more interested in the rides and the Peppa Pig character figures around the park this time around. She doesn’t know many of the character names (we haven’t yet got into Peppa Pig in a big way in our house). 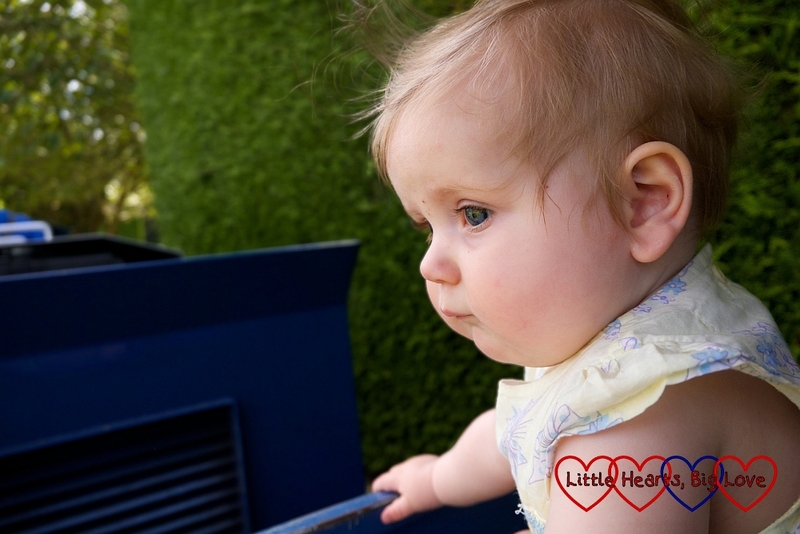 We only actually went on one Peppa Pig ride this year – the helicopter ride – as the queues were quite long. Jessica was quite happy enjoying the play area and having a wander around without needing to go on rides. Having an annual pass to Legoland means there isn’t the pressure anymore to get as many rides in as possible each time we visit a theme park! Sophie got to try out the water area but wasn’t too keen. The water jets were a bit too unpredictable with all the other children jumping on them. Jessica too was much more apprehensive about it this year. Last year she was very happy sitting in and getting as wet as possible. Now she gets nervous about getting water in her face and eyes. She was much happier when the jets were off for a while and she could just splash in the puddles. 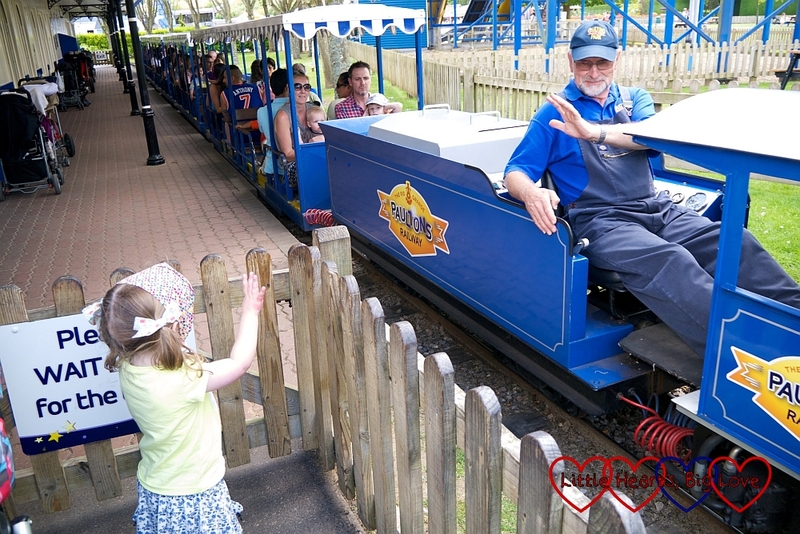 We also enjoyed a ride on the train around part of the park and a picnic where we got to chat to the other heart families. We know some of the other families from Jessica’s previous stays on the ward. It is great to see the children growing up and generally doing quite well. 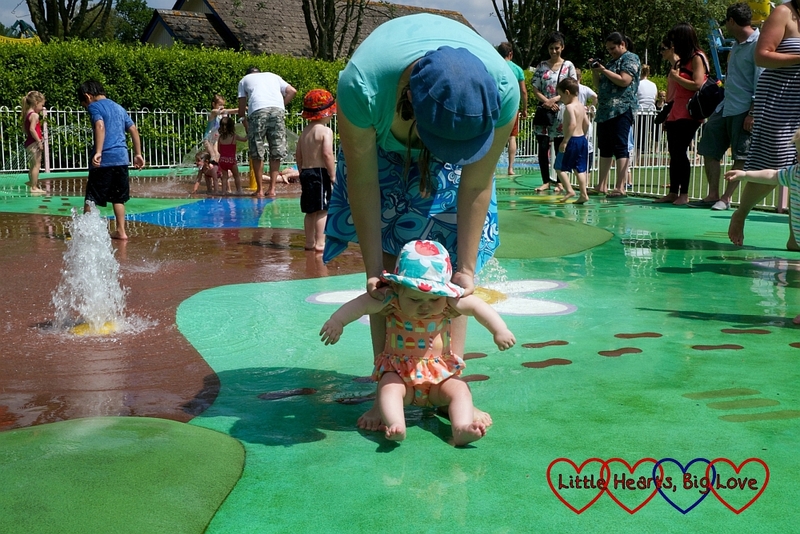 We were very lucky to have a free day out as the park offers the ward tickets for the heart families for one day each year – it’s so lovely to see all the children together particularly the ones we last saw in hospital when our children were quite poorly. Hope your son likes the photos! 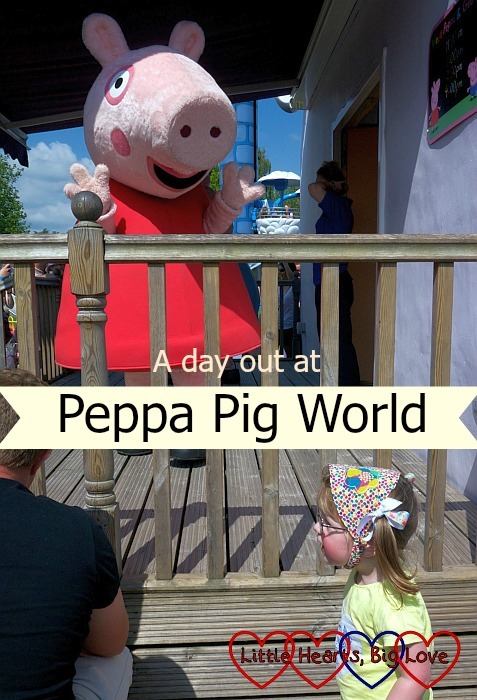 Lovely photos of the girls having a happy time at Peppa Pig World, it’s a shame that the queues can be quite long for little ones to wait. Thanks for linking up and sharing their fun with Country Kids. Looks like so much fun! I’m oldest two would love to go there.